Net Traveller: Power Bank as a USB Data Blocker? 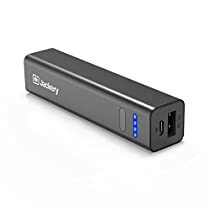 Power Bank as a USB Data Blocker? The May edition of TechLife Australia in their security and privacy guide laments the lack of available "USB Data Blockers". 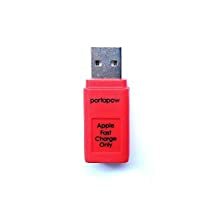 Perhaps a USB Power Bank can be used as a data blocker. The problem is that a USB cable can transmit data as well as power. LifeHacker suggests the use of a USB Data Blocker when using USB devices you are not sure of. The Data blocker plugs in between your device and the untrusted device, to let the power through, but no data. However, they can't find any commercial source of such devices. but these are not commonly available in retail stores. In contrast USB Power Banks are readily available at low price. These have two USB sockets: one to charge the power back and one to charge your device from the power bank. A discussion in Whirlpool suggests some power banks can be plugged in to a power source and device to charge simultaneously. If this "pass-though" mode stops data, the power-bank can be used as a data block.